Confused about all the different ‘natural’ sweeteners on the market? From regular sugar to refined sugar free options like honey, agave, and coconut sugar, to natural sweeteners like stevia, monk fruit and erythritol, to artificial sweeteners like Splenda and Sweet’N Low, we’re breaking it all down and revealing the truth about 15 different natural sweeteners! Learn the differences between these sugar substitutes, the pros and cons, and what to look for when buying healthy natural sweeteners. This post is sponsored by Health Warrior. 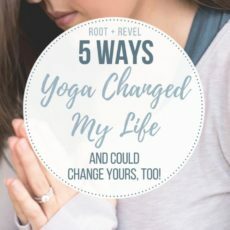 All thoughts and opinions are my own.Thank you for supporting the brands that make it possible for Root + Revel to provide free content and healthy living inspiration. Sugar used to be so simple. There was regular sugar, brown sugar and powdered sugar. Mayyyybe the occasional honey for tea or maple syrup for pancakes. As we’ve started to understand the dangers of sugar and the link to health problems like heart disease, obesity and much more– especially in our modern world of complete overconsumption (for example, the National Cancer Institute reported that adult men take in an average of 24 teaspoons of added sugar per day)–more and more alternative sweeteners and sugar substitutes have risen in popularity. Fortunately, we have plenty of other real food options to fulfill our sweet tooth that don’t harm our health, and in fact, can even support our health in some ways. But with dozens and dozens of natural sweetener options out there, many of us our left scratching our heads, wondering what the heck are they? How do you use them? What’s the difference between honey, molasses, syrup, stevia, chicory root, and xylitol? 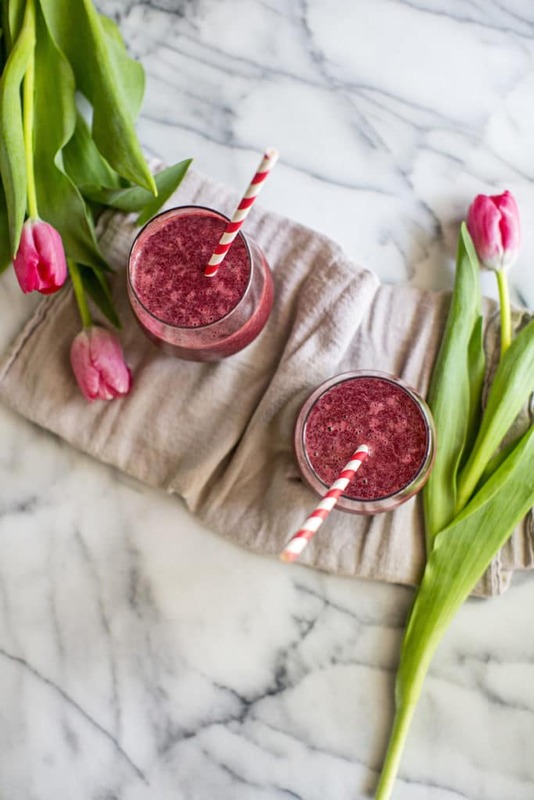 In this post, we’re getting real with natural sweeteners and breaking down all the facts, including their glycemic index, the benefits and the cautions for each, what to look for to ensure you’re getting the highest quality, where to buy and more! 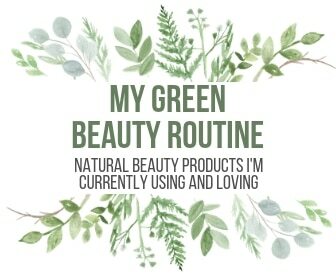 Whether you’re using natural sweeteners for baking, your morning coffee, tea or smoothies, or you’re following a certain diet like low carb, Paleo or keto, or you have health conditions like diabetes, insulin resistance or hypoglycemia, we cover everything you need to know in this post to support your clean eating lifestyle. 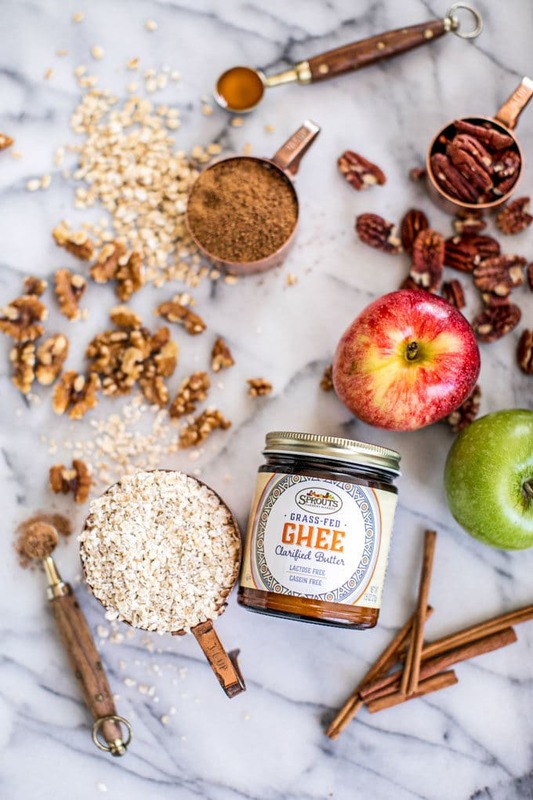 But first: we’ve got an AWESOME giveaway from our friends at Health Warrior and Thrive Market, two brands you can rely on to support your healthy lifestyle! One lucky winner will receive an amazing bundle of super healthy snacks, plus a free annual membership to Thrive Market! What’s included? A total of $203.38 in prizes including one box each of Chia Bars + Pumpkin Seed Bars from Health Warrior, 2 Tubs of Health Warrior Superfood Protein Powder (1 each Chocolate + Vanilla), 1 Healthy Snacks Starter Kit from Thrive Market (includes 12 popular snacks like some of our faves such as Organic Tropical Trail Mix, Jackson’s Honest Potato Chips, Mary’s Crackers + more! 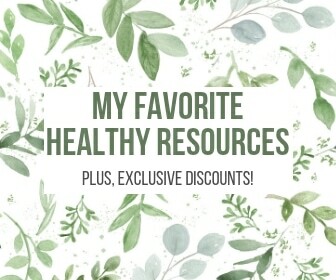 ), AND one complimentary annual membership to Thrive Market where you’ll get an entire YEAR of access to their amazing selection of healthy groceries, all at reduced prices compared to retail! Enter at the bottom of this post! First, let’s briefly talk about what NOT to eat. In the last couple decades, artificial sweeteners like Splenda, Sweet’N Low and Equal became really popular as they have zero calories and therefore seemed ‘healthy’ at first. Keyword being seemed. As we know, calories are not the enemy. Moral of the story: if you’re still using artificial sweeteners, please stop immediately! There are so many other, healthier options out there. Now, what about other common refined sugars like regular white granular sugar, raw sugar, brown sugar or powdered sugar? How about high fructose corn syrup, malt syrup, dextrose and sucrose? If you do use sugar sparingly, avoid the processed forms like high fructose corn syrup that have way more damaging effects than less processed forms like raw, organic cane sugar. Admittedly, I still eat regular refined sugar here and there, as I don’t want to live a life that’s overly strict and restrictive–it’s all about that 80:20 rule. If I’m really craving something, or if I’m at a birthday party or wedding, you betcha I’m having a piece of cake and loving every bite. You’ve got to do what works for you, and I believe we can still live a healthy life and consume refined sugar sparingly. Still, the vast majority of the time I satisfy my sweet tooth with real foods that contain sugar in its natural form, like whole fruits that are nutrient-dense, high in fiber and low in glycemic load. Or, I go for refined sugar free natural options like honey, maple syrup or dates. More on that below. A useful tool in helping compare and contrast natural sweeteners is the glycemic index (GI). The GI is a value assigned to foods from 0 to 100 based on how slowly or quickly those foods cause increases in blood glucose levels, a.k.a. blood sugar. Foods low on the GI scale tend to release glucose slowly and steadily, whereas foods high on the glycemic index release glucose rapidly and cause an insulin spike. Glucose has a GI of 100 (the highest) and fructose is 25. For reference, regular sugar (sucrose) is made up of a combination of these two and has a GI of 65. So is one better than the other? Actually, yes! Glucose can be metabolized by all of the body’s cells, whereas fructose can only be metabolized in significant amounts by the liver. 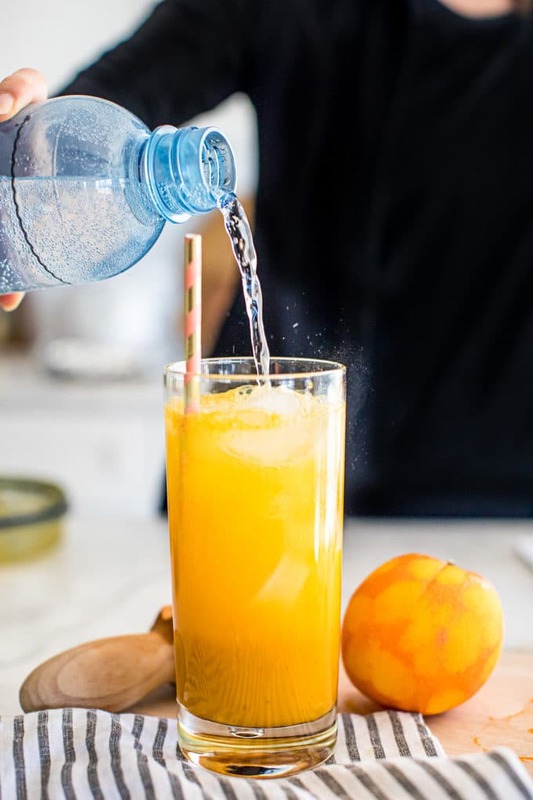 Fructose gets turned into fat, which either lodges in the liver (causing fatty liver and insulin resistance) or is shipped out, which can lead to metabolic problems and increased risk of developing heart disease, diabetes, and stroke. The GI for sweeteners is a function of three things: the amount of carbs present, the type of carbs present and the presence of other substances (soluble fiber mainly) that slow down carb metabolism. People with type 1 diabetes and some with type 2 or insulin resistance can’t produce sufficient quantities of insulin (which helps process blood sugar), meaning they are likely to have an excess of blood glucose. Therefore low GI foods are helpful with their slow and steady release of glucose, keeping blood sugar levels under control. But, and this is SUPER IMPORTANT: not only are all sugars not created equal, but what you consume WITH the sugar makes a HUGE difference in your body’s response. For example, by consuming healthy fat and fiber with your carbs, you’ll slow down the sugar rush and reduce your insulin response, meaning less of what you just ate will be stored as fat. This is why I don’t worry so much about sugar in fruit–let’s be honest, nobody is getting fat eating too many strawberries. That being said, in general, you’ll want to stick with lower GI natural sweeteners, especially if you have any of the health conditions mentioned above or are concerned about your blood sugar. When are high GI foods beneficial? Some examples include helping with energy recovery after exercise, offsetting hypoglycemia or supporting endurance athletes. With all this in mind for context, we’re finally ready to dive into the specifics. Here are 15 different natural sweeteners and all you need to know to make informed decisions about their use! The first section of natural sweeteners we’re talking about a category of sweeteners called refined sugar free. 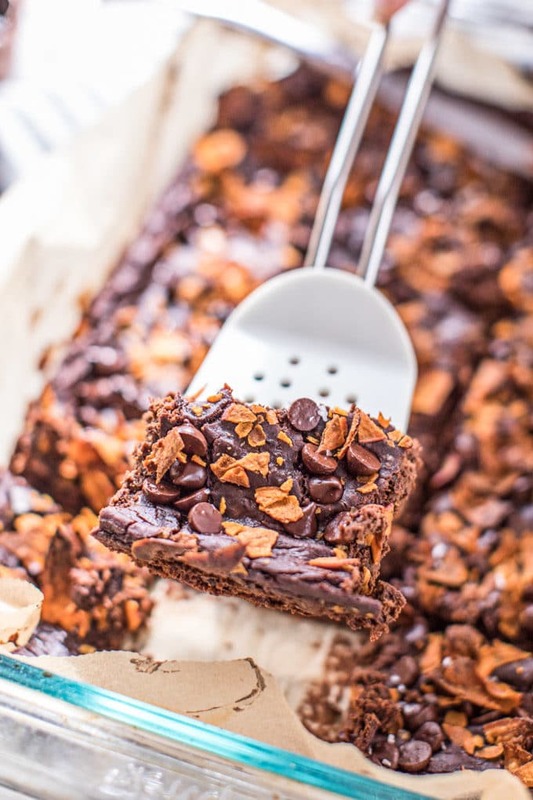 This means that, unlike refined cane sugar which undergoes a long and complex process to become crystalized sugar, the following options are relatively much more natural and thus ‘unrefined’ products. How it’s made: As it sounds, brown rice syrup is a sweetener derived from brown rice. It’s made by adding enzymes to cooked rice, which breaks down the starches. The liquid is then strained out and then cooked down to a thick syrup. Pros: Brown rice syrup is made up of almost all glucose, with very little fructose (which is the type of sugar predominantly linked to health problems), making it a much healthier sugar alternative. Cons: A GI of 98 is extraordinarily high, and in fact, is the highest of all the natural sweeteners. This is dangerous for blood sugar spikes and anyone with diabetes or insulin resistance. Brown rice syrup also contains very few nutrients. How to use: Brown rice syrup is super sweet. You can use it anywhere you’d use other liquid sweeteners, like maple syrup or honey. It’s sticky and makes a great binder in snack bars and cereals. What to look for: As with most foods, look for organic when possible, like Biona Organic. Warning: Most ‘healthy’ packaged treats and protein bars on the market have enormous amounts of added sugar, so even though you think you’re eating something nourishing and making a better choice, you might as well be eating a processed candy bar. A better pick would be something with really low sugar, like Health Warrior’s Chia Bars. They only have 3 grams of sugar, which is some of the lowest you’ll find on the market! 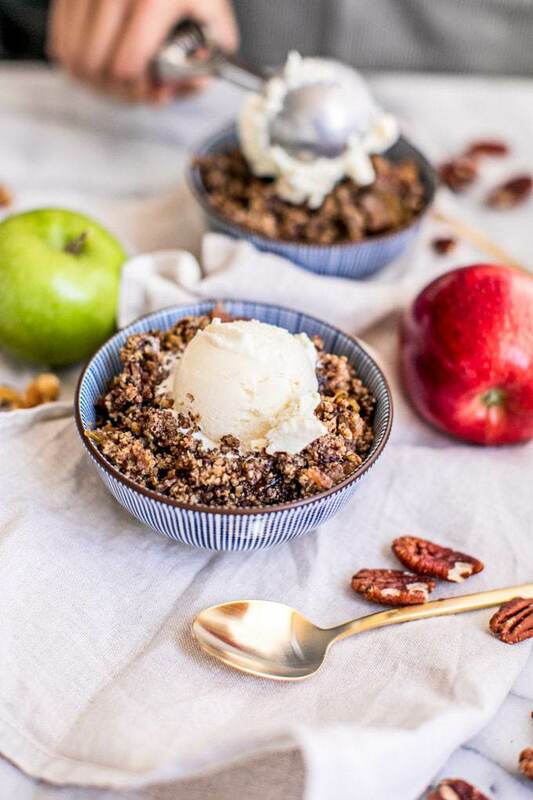 They do use brown rice syrup, but it’s such a small amount and mixed with zero glycemic sweeteners like chicory root fiber and monk fruit (which we’ll talk about later on in this post), which together deliver just the perfect hint of sweetness. Plus, they come in a ton of delicious flavors. My top picks are the Chocolate Peanut Butter, Vanilla Almond and Acai Berry, but they also come in Banana Nut, Apple Cinnamon, Coconut, Caramel Sea Salt, Dark Chocolate, Dragon Fruit, and Dark Chocolate Cherry. They’re also gluten-, dairy-, GMO- and soy-free, and 100% plant-based. 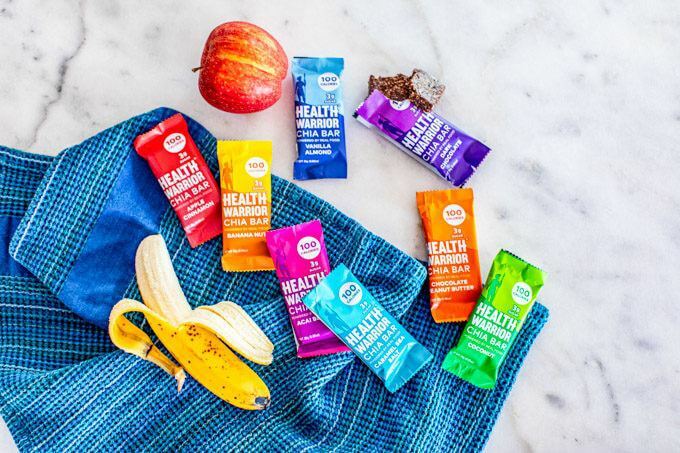 You can buy Health Warrior’s Chia Bars direct through their website where they not only have a ‘best price guarantee’, but you can also get 20% off your order with the code rootandrevel20! The bars are also available on Amazon or at Thrive Market. Plus: don’t forget to enter our giveaway at the bottom of this page where you can win these bars, and much more!! How it’s made: Honey starts as flower nectar collected by bees, which gets broken down into simple sugars stored inside the honeycomb in the bees’ hive. The design of the honeycomb and constant fanning of the bees’ wings causes evaporation, creating sweet liquid honey. Pros: Raw honey is a pure, unfiltered and unpasteurized sweetener that retains it’s amazing health benefits and nutritional superpowers. It can help with allergies (especially when it’s harvested from your local area), sleep problems, energy levels, immunity and more. Furthermore, conventional beekeeping and honey production is detrimental, unethically harvested and exploits the bees. (source) It’s crucial that we support and protect the bees; in fact, about one-third of the U.S. diet is derived from insect-pollinated plants, and honey bees are responsible for an impressive 80 percent of that process! (source) In other words, with the decline of our bee population, our food supply is in big trouble. Also note that honey is not technically vegan since it’s derived from bees (a living being), so keep that in mind if you’re vegan or preparing food for any vegans. How to use: There are almost endless uses for honey! 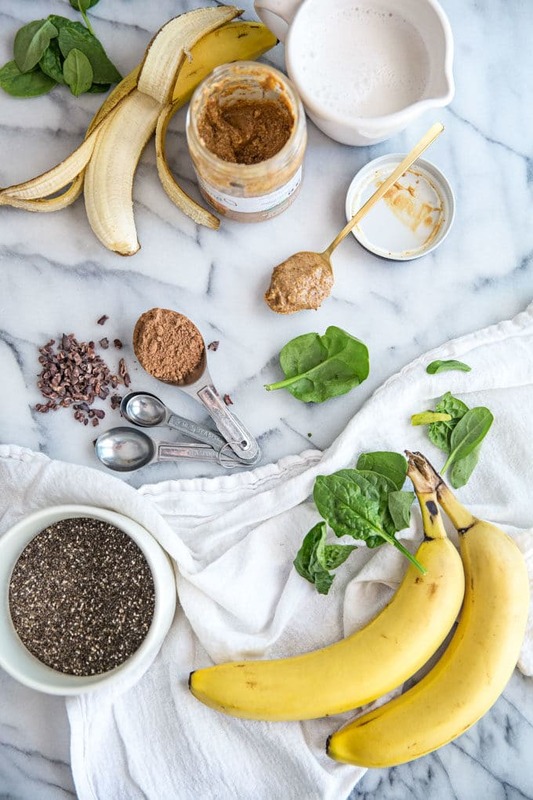 Put in your tea, coffee or smoothies; on top of oatmeal, pancakes or chia pudding; use in place of liquid sweetener when baking (though note heating raw honey destroys its inherent health properties); make homemade tonics when feeling under the weather; make your own DIY beauty and face masks like this Easy Probiotic Turmeric Honey Face Mask. What to look for: Raw, unfiltered, unpasteurized honey that is ideally local and sustainable (and when possible organic) for maximum health benefits. Look for it at your local farmer’s market (where you can talk to the beekeeper directly about their sustainability practices), co-op or health food stores. If you can’t find local, try Thrive Market’s organic, raw and unrefined honey. Avoid processed honey (like the one that comes in the plastic bear) that not only has a higher GI, but isn’t eco-friendly and has way less nutritional value. How it’s made: Maple syrup is the concentrated sap of the maple tree, collected from a tap into the truck, then boiled to evaporate the excess water. Pros: Maple syrup contains some important antioxidants and minerals like zinc, manganese, iron and calcium. It also has inflammation-reducing polyphenol antioxidants, meaning it can support the reduction of certain diseases like arthritis, IBS or heart disease. (source) Plus, anyone who has ever had maple syrup knows that it’s freakin’ delicious. Cons: Maple syrup is high in sucrose (about 66%) and is not low glycemic. Thus, it does affect your blood sugar. Still, it’s a better option than refined sugar and if eaten with fiber-rich homemade pancakes and a healthy serving of good-for-you fat, you can temper the spike. How to use: Well known as a sweet condiment for breakfast dishes, maple syrup is also easy to use in dishes where you want a smooth consistency and unique flavor, whether that be a Citrus Kale Salad with Maple Granola + Pancetta, Healthy Sweet Potato Casserole or Maple Cinnamon Fudgy Flourless Brownies. I also love using it in Matcha Lattes. What to look for: Obviously, you want to confirm that it’s made of 100% pure maple syrup (not maple “flavor” or high-fructose corn syrup). There are several different grades of maple syrup, depending on the color; Grade B is the darkest, with the strongest maple flavor (and also the highest levels of vitamins and minerals), making it the best for baking. I like Thrive Market’s Organic Grade A Maple Syrup. How it’s made: Dates are a fresh fruit grown on date palm trees, most often in desert climates like North Africa and the Middle East. Date syrup is exactly what it sounds like–a thick syrup made out of pureed dates. Cons: Dates still have a moderate sugar content, which by now we know raises blood sugar. While not low on the GI scale, they are lower than maple syrup and most other unrefined natural sweetener options. Plus, the fiber is built right in! How to use: You can eat them plain or stuff them with nuts, nut butter, bacon and blue cheese–there are options abound! 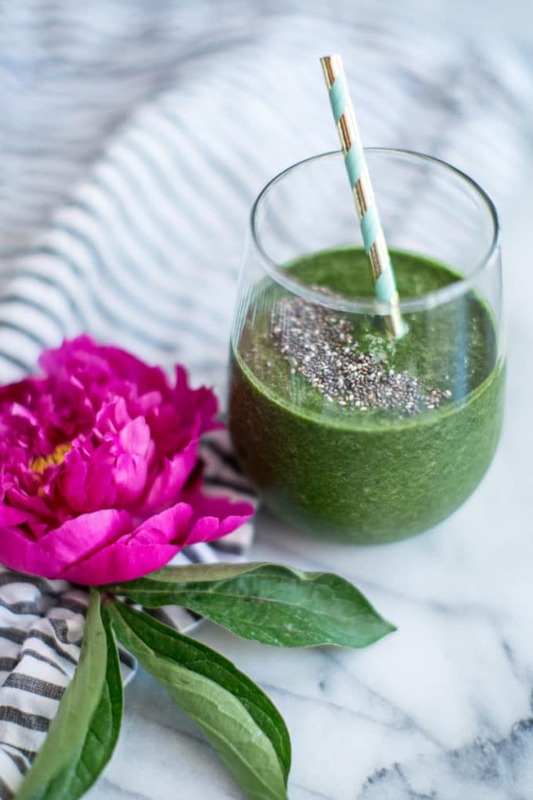 You can also puree them for added sweetness in smoothies (may I recommend this Green Vegan Protein Smoothie) or sauces, or add as a key ingredient and sticky binder in recipes like energy balls and desserts. What to look for: Fresh dates in the produce aisle; medjool dates are some of the best. They’re super sticky and moist, unlike the dates you buy in the baking aisle that are dried. Medjool dates are actually harvested, cleaned, sorted and packaged right away. There’s no processing and they’re never physically or chemically dried. Tip: they’re best kept refrigerated in a sealed container. However, you can actually also order a pouch of organic medjool dates at Thrive Market, as well as try out this organic date nectar. I also like Date Lady’s pure organic date syrup. Pros: At 35 on the GI, it’s lower than most other sweeteners in this category. Coconut sugar contains iron, zinc, calcium and potassium, plus a little fiber which helps slow the insulin spike. It likely ranks lower on the GI scale because of this soluble fiber content. How to use: Coconut sugar tastes similar to refined brown sugar, so it’s a perfect substitute in any recipe. I also use it as a 1:1 swap for regular sugar when I don’t mind the darker color. What to look for: Make sure you buy 100% pure coconut palm sugar (some products are actually blended with fillers). Sourcing is key here–make sure your coconut palm sugar is certified Fair Trade, and sustainably harvested. I like Navitas Organic Coconut Palm Sugar, (available here on Thrive Market or Amazon), or Madhava’s organic and unrefined (go here for Thrive or here for Amazon), both of which are sustainably farmed. How it’s made: Blackstrap molasses is actually leftover from the processing of sugar; it’s the dark syrup that remains after maximum extraction of sugar from raw sugar cane. Cons: Blackstrap molasses is still equal parts fructose and glucose, and with a 55 on the GI, should still be used sparingly. How to use: Similar to maple syrup, you can use it on top of oatmeal and other breakfast foods like pancakes, chia pudding or toast. It’s also a great sweetener for marinades, barbeque sauce and to use while baking in place of brown sugar, honey or maple syrup. You can even try adding it blackstrap molasses to coffee to intensify its richness. What to look for: When purchasing blackstrap molasses, look for products that are organic, unsulfured and fair trade. I like Wholesome brand, which you can get on Amazon or Thrive Market. How it’s made: Agave is a syrup that is made from the Agave tequiliana (tequila) plant, mainly in Mexico. Pros: Agave Syrup has a low GI because it is mainly fructose, meaning that the sugars are metabolized in the liver and don’t enter the blood stream–resulting in a deceptively low rank on the GI scale. This low GI rating made it a popular, trendy choice for a while, as many health enthusiasts were on the bandwagon, but it’s falling out of favor (see ‘cons’ below). It is also said to have prebiotic effects, meaning it supports the growth of beneficial bacteria. This is because the main carbohydrate in agave is inulin. Consequently, the processing of agave removes a lot of the inulin, so the extent of the benefits are questionable unless you have your own agave plant. Plus, it’s vitamins and minerals are stripped out during the refining process, even when it’s labeled “raw”. How to use: Anywhere liquid sweetener is called for (and often in margaritas in place of cane sugar or corn syrup!). What to look for: Given the latest research, we recommend other sweeteners, like those listed in this post, instead of agave. Fortunately, there are plenty more to choose from! How it’s made: Obviously, fruit is grown on plants like trees and bushes. Jams and jellies are cooked down versions of these fruits and nearly always have sugar added to them. Pros: Fruit is a 100% real food and truly the best source of natural sweetness you can get. Some fruits have better ratios of sugar to fiber, which prevents an insulin spike, and delivers more sustained energy. For example, blueberries, strawberries and grapefruit are all super high in antioxidants and fiber with relatively low sugar. Cons: Other fruits like mangos, papayas and nectarines are super high in sugar and low in fiber, so while these fruits are still delicious and natural, they are more likely to give you a blood sugar spike. Still, they’re way preferable to other sources of sugar. Be careful with jams and jellies–they can have TONS of added sugar! You’re best off making your own so you can control the sweetness. 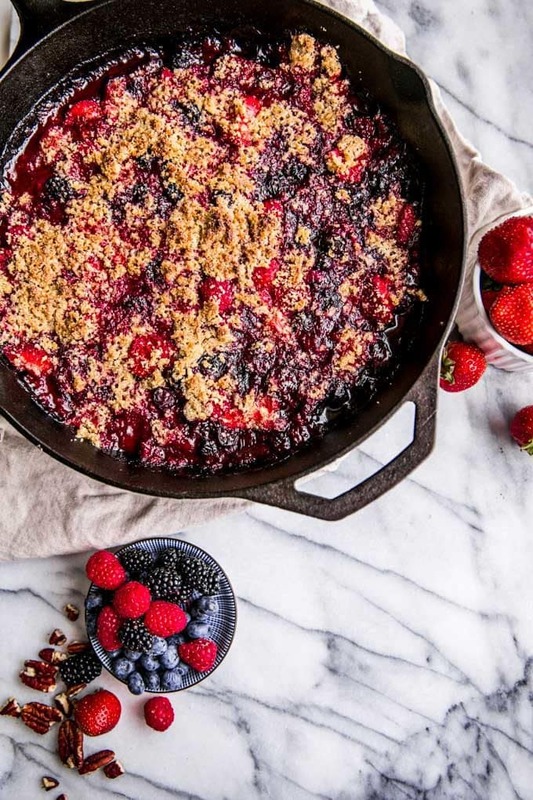 How to use: Eat plain, make smoothies, put jam on toast, make cobbler–the possibilities are endless! What to look for: Shoot for high fiber, low sugar fruits for the most health benefits and steady energy–berries are a great choice! For jams and jellies, look for organic and those naturally sweetened with no added sugars, or aim for a refined sugar free option that’s sweetened with something more natural. I love Crofter’s organic fruit spreads that are purely fruit juice sweetened and come in raspberry, apricot, wild blueberry and black currant. How it’s made: Yacon syrup is 100% natural, gently extracted from a Peruvian root and has been used medicinally for centuries in other cultures. Pros: Yacon syrup scores best on the Gl for sweeteners that are sugar based with its crazy low score of just ONE! It is the only truly raw, organic, natural, low calorie and low glycemic sweetener available. Yacon contains inulin, which acts as a prebiotic. The small amount of sugar that is in yacon syrup (2 grams per teaspoon) doesn’t cause a blood sugar spike due to the prebiotic content of the syrup. We don’t break it down until it gets to our large intestine where it is used as “food” for our beneficial gut bacteria, making this sweetener actually GOOD for our gut bacteria and metabolism! Plus, yacon syrup is so sweet naturally, you need to use very little to achieve sweetness in recipes, making your yacon-sweetened treats virtually sugar free. Cons: It’s more expensive than other sweeteners, but again, a little goes a long way. How to use: In place of other liquid sweeteners in baking, or anywhere you’d typically use maple syrup, honey or blackstrap molasses. What to look for: Always look for organic, 100% pure and an ingredient list of JUST yacon. Pros: Zero fructose, zero calories and zero on the GI. This means that it’s a natural way to add sweetness without affecting your blood sugar, and in fact can even reduce fasting blood sugar levels, balance insulin resistance and aid in glucose regulation. While purified stevia extracts are more processed than green leaf stevia, their health benefits seem to be on par with the natural leaf. It all comes back to the source and quality of stevia you get–the taste, benefits and possible side effects largely will depend on what stevia you use. If you use a good quality stevia, you’ll likely enjoy the taste and experience zero side effects. How to use: Remember, you only need a TINY bit! Use in your coffee, tea or smoothies, or try in baking or sweet treats. To replace with sugar, usually one tablespoon of sugar equals 15 drops (or less) of liquid stevia, 1/3 teaspoon of powdered stevia or 1.5 packets of preportioned stevia. Air on the side of caution at first, as too much will be overpowering. What to look for: Not all stevia products are created equal. It’s important to look for 100% pure liquid stevia, ideally organic and alcohol-free, to know you’re getting the most pure form. Or you can go totally pure and get the crushed, dried stevia leaves, which are unprocessed and you can grind yourself (although it’s recommended you don’t use homegrown stevia for baking or cooking because of the chemical reactions that may occur). Powdered versions, while not necessarily bad, aren’t as pure and are often mixed with other zero sugar sweeteners, which don’t always digest as well. Also avoid altered stevia blends, which can have toxic chemical solvents and end up with less than 1% of actual stevia. In sum: the best stevia in any form will have no additives, including other sweeteners, and be certified organic. How it’s made: Chicory root comes from a plant in the dandelion family. Inulin is a type of plant-based starch (classified as a soluble fiber and prebiotic) that gets pulled from the roots of chicory plants, producing chicory root extract. Pros: Inulin is highly fermentable by the friendly bacteria in our guts, meaning it can support gut health. It’s a great source of fiber, though of course you should always try to get fiber from whole foods like vegetables when possible. It’s also great for anyone watching their sugar or carb intake, as it’s a 1 on the GI and has zero carbs, so just like other sweeteners in this category, it won’t contribute to insulin spikes. Cons: Large doses of prebiotic fibers like inulin can cause gastrointestinal distress such as gas, bloating and pain in some people. People with conditions like IBS can experience symptoms at even small doses. It can also have a laxative effect, so it’s best diluted by mixing it with other sweeteners like stevia (and often comes this way in stevia baking blends). Also, be careful if you’re sensitive to FODMAPs. 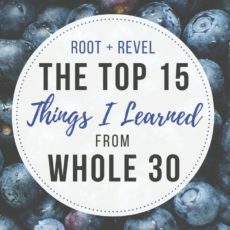 How to use: Chicory root has a long history of being used as a coffee substitute, and many herbal blends still use chicory root as a base today, like Teechino’s decaf and herbal coffees and teas, which are totally delicious and also available on Thrive Market. Inulin is often used in high-fiber and gluten-free products like granola or protein bars (such as Health Warrior’s Chia Bars), baked goods and cereals, as well as low-fat or dairy-free yogurt, ice cream and ready-to-drink protein shakes to add natural bulk and sweetness. What to look for: Inulin is not really used as a sweetener on its own, but you may see it mixed in with other sweetener blends and in some of the foods mentioned. For chicory root, look for organic and buy it already roasted and ground to use as a coffee substitute, or you can find it raw for use in cooking. How it’s made: Monk fruit is a melon-like fruit found indigenously (and almost exclusively) in southeast Asia. Monk fruit sweeteners are made from the fruit’s extract and are 150 to 400 times sweeter than sugar. Pros: Monk fruit contains powerful antioxidants called mogrosides, which are metabolized differently by the body than natural sugars. That’s why, despite their very sweet taste, these fruits contain no calories and have no effect on blood sugar with its GI rating of zero. Cons: There are no reported monk fruit side effects or negative reactions, though no long-term studies have been done to test monk fruit side effects over time. When shopping, it is harder to find than other natural sweeteners, and it’s expensive to import. How to use: It all depends on what source you’re using. 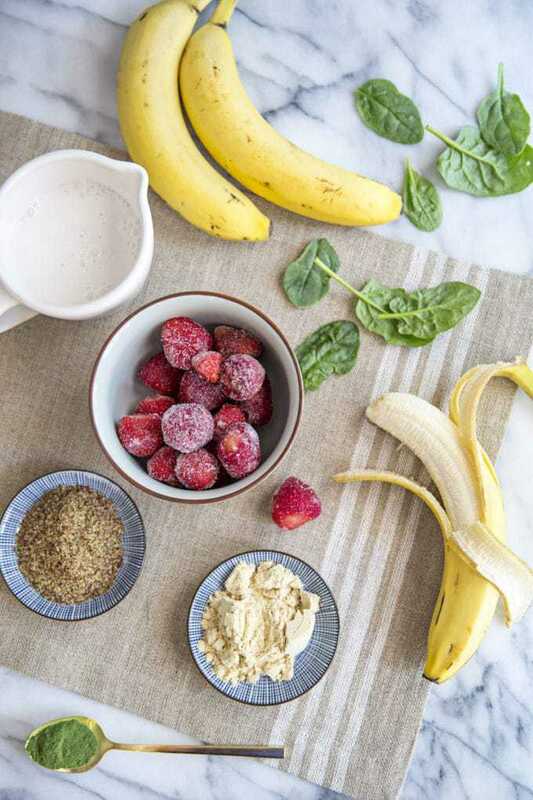 You can blend pure monk fruit powder directly into liquid, or sprinkle it over any food that needs an extra blast of sweetness (just remember, it’s way more sweet than regular sugar, so you need to use far less!). With some of the baking blends on the market that include monk fruit in the ingredients, you can often sub 1:1 for sugar–refer to the label for directions. What to look for: A whole-fruit extract, as it is likely to maintain more benefits, like this 100% Organic Pure Monk from Julian’s Bakery. Be sure to check your labels, as monk fruit is often mixed with artificial sweeteners, dextrose or other ingredients to balance sweetness. Lakanto is a popular brand that makes many sugar free products like a ‘maple syrup’, chocolate bars, 1:1 sugar substitutes and more that use a blend of monk fruit and non-GMO erythritol (see next section). Use the code ROOT for 15% off your purchase! I also really love Health Warrior’s NEW plant-based and paleo-friendly vanilla and chocolate protein powders that have only 1-2 grams of sugar since they’re sweetened with monk fruit, with no added sugars or sugar alcohols (which we’ll cover below). 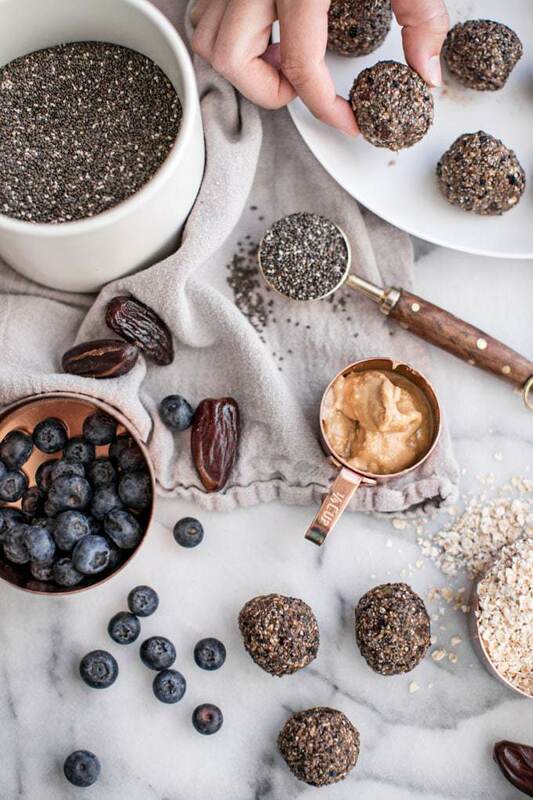 The protein is sourced from pumpkin seeds, flax seeds, chia seeds, and hemp seeds, whereas most other plant-based proteins use pea protein and sometimes grains. 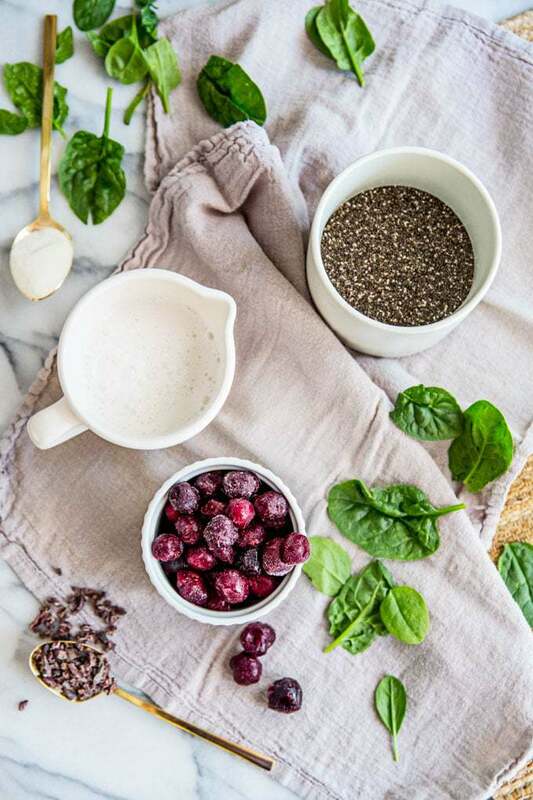 The chia and flax deliver 1 Billion CFU of probiotics + prebiotics, and make these powders an excellent source of fiber to support healthy digestion. Remember, you can get 20% off your order at Health Warrior with the code rootandrevel20! You can also buy this protein powder at Thrive Market. The next three sweeteners–erythritol, xylitol and maltitol–are all sugar alcohols (also known as polyols), but they have slight variations so we’ve featured them all separately. But first, what are sugar alcohols? They occur naturally in plants, like fruits and vegetables. They’re often used as sugar substitutes because they provide a sweet taste that does not raise blood sugar to the degree that sucrose does, since they convert to glucose more slowly in your body and do not require much insulin to metabolize. However, you should avoid sugar alcohols if you have problems with bacterial or yeast overgrowth. Important note: Just like with some of the other natural sweeteners covered above, it takes processing to get these natural substances into the consumable forms we see on shelves today. Despite coming from plants and being zero or low glycemic, some people wouldn’t consider these options ‘real food’ given they aren’t in their most natural form. As always, it’s up to you to get educated, test things out in your own body and make the decisions about what’s best for YOU when it comes to what to eat. With that, let’s take a deeper look. How it’s made: Erythritol is made by fermenting the natural sugar found in corn (and occurs naturally in pears, soy sauce, wine, sake, watermelon and grapes). It’s about 60-80% as sweet as sugar, but with zero fructose. Pros: Erythritol does not raise blood sugar and thus considered suitable for people with diabetes, insulin resistance or hypoglycemics. It’s also the easiest sugar alcohol to digest since more than 90% of erythritol is broken down in the small intestine and never reaches the colon (in contrast to other sugar alcohols, which can cause digestive upset). If you have digestive imbalances, this may be a great option for you. Cons: Many people report experiencing gas, bloating and diarrhea when eating sugar alcohols (typically only when eaten in excess, but this varies from person to person). Also, if you have kidney problems or are sensitive to corn, you may want to avoid erythritol. How to use: You’ll primarily find erythritol in sugar free chewing gum, baked goods and beverages. To use at home, there are now 1:1 sugar substitutes–Swerve is the most popular brand–made from erythritol to make your baking super easy, including regular granular, brown and confectioners. 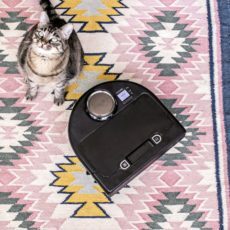 You can also get Swerve on Thrive Market. What to look for: Be sure to check your labels if you’re looking for the inclusion/exclusion of specific sweeteners. Oftentimes sugar alcohols and stevia are used in conjunction with other higher GI sweeteners or even regular sugar, so if you’re diabetic or watching your sugar intake, always read the ingredients and check the sugar content on the nutrition label! How it’s made: Xylitol is a naturally occurring alcohol found in most plant material, including many fruits and vegetables. It’s actually extracted from birch wood to make medicine. Pros: Like erythritol, xylitol has zero fructose, doesn’t raise blood sugar and is safe for diabetics, hypoglycemics or for those avoiding sugar. Cons: You may experience gut pain when you first try xylitol. Why? You likely ate too much of it at first. Our bodies have an enzyme that breaks down xylitol, but if it isn’t in use, it takes time to build it up. Until you have enough of the enzyme, you’ll experience stomach pain. It’s also easy to get a low-quality xylitol, which can likewise cause digestive upset. How to use: You’ll primarily find xylitol in sugar-free chewing gums, mints, and other candies. You can also swap our xylitol for sugar in most recipes, typically with a 1:1 ratio. What to look for:Birch-sourced, North American xylitol, which will be free from corn (a common food sensitivity, plus is often GMO). Also available on Thrive Market. How it’s made: Maltitol is made by the hydrogenation of maltose, which is obtained from starch. Pros: Reduces the rise in blood glucose and insulin response associated with the ingestion of glucose, but is still more likely to boost your blood sugar compared to to the zero GI options like stevia and erythritol. Cons: It’s commonly linked to digestive issues such as bloating, diarrhea and abdominal pain. How to use: Often used in chocolate coatings, confectionery, bakery chocolate, and ice cream. What to look for: I wouldn’t recommend maltitol–you’re better off with the zero glycemic sweeteners that have less side effects, like stevia and erythritol. Holy moly, that was a jam-packed post! Where does it leave us? In general, it’s best to stick with real food, lower GI natural sweeteners that also have health benefits like raw local honey, yacon syrup and stevia. Of course, eating fruit is a great clean eating option to get your sweet fix, too. Consuming other natural sweeteners in moderation is totally fine for most people, and let’s be honest, sometimes we just need to splurge on a little sugar fix! It’s best when we can opt for the refined sugar free or zero glycemic options listed in this post. And sometimes, just going for the real deal makes the most sense. Usually, those small indulgences will satisfy you and keep you from feeling deprived or binging later on. Be kind to yourself, listen to your body and try not to get stressed with every little decision when it comes to this stuff. Unless you have a serious medical condition, follow the 80:20 rule and you’ll be just fine! What’s your favorite natural sweetener? 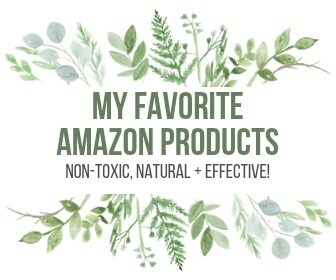 We’d love to hear about your experiences with these products in the comments below! I never knew there were so many natural sweeteners! I am going to share this with my dad because he is diabetic, and so he would greatly benefit from reading this. I love this guide to healthier sweeteners! I will definitely be referring to this to make some of my food a little healthier! That’s awesome to hear, Krissy! Such a great and informative post! Thank you! This is such great information! There are so many options these days, it’s hard to know what to choose. What an interesting post. There are so many natural sweeteners that I don’t even know! Luckily I don’t have much of a sweet tooth so I don’t eat many cakes or sweets. I do use organic honey a lot which I buy from a local farm. One of the things I love about reading your blog is how much I learn. I am very familiar with the glycemic index but I hadn’t realized that some of these sweeteners are so low. I’ve got to check them out. 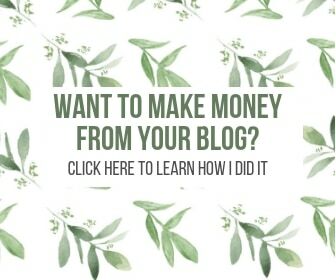 What an amazing and comprehensive guide you’ve created! Thank for you this! So informative! I’m in love with this post! It’s so helpful to really compare and contrast what’s out there. I’ve gone totally sugar free for 5 months now, using the zero glycemic natural sweeteners sparingly to make special treats. I like Stevia and the Lakanto monkfruit hits the spot in place of maple syrup.